Freezers are versatile appliances that act like a pause button for food, which is why people usually turn to their freezers whenever they want to store leftover meals. Sometimes however, people pile everything inside their freezers, not knowing that food placement and organization also play a role in preservation. Knowing how to store and organize a freezer properly will help maximize its capacity and make each meal fresher for longer. Some types of food don't freeze well. Fried food, for instance, can become mushy, while cream-based soups and sauces tend to separate and curdle when thawed. Water-rich vegetables like lettuce and cucumbers become soggy and limp, and soft cheeses like cottage cheese lose their texture when they return to room temperature. Quick frozen meals and ice cream bars usually come in bulky cardboard boxes. It is best to remove the food from the boxes, and instead replace them with freezer bags. If there are any essential information on the cartons such as an expiry date or cooking instructions, these can be cut out and attached to the bag. In addition to maximizing space, it is also essential to take out the excess air from sealed plastic bags to prolong food shelf life. Raw meat or dough should be put in a freezer bag, sealed, and laid flat in the freezer. The bags can be separated with sheets of cardboard or parchment paper to prevent them from freezing together. Once frozen flat, the bags can be stacked or stood up on edge to free up valuable storage space. If more extra space is needed, it can also be time to think about getting a dedicated stand-alone freezer. Fujidenzo Home and Commercial Appliances is introducing the UF-35S, a 3.5-cubic-foot upright freezer built with a hardtop, and 3 drawer shelves for maximum storage. 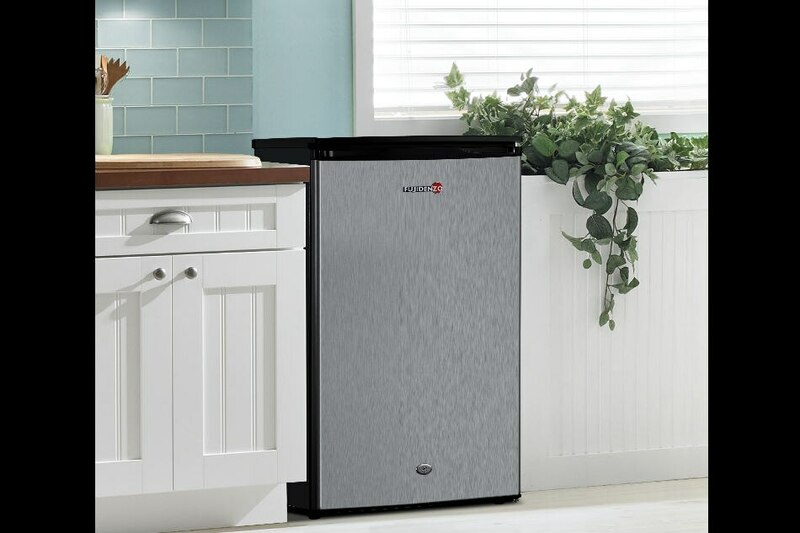 The UF-35S has an energy-efficient compressor which offers quick-freezing and direct cool functions to help lower the monthly electricity bill. It also has a stainless door with a key-lock feature to ensure security for belongings. The UF-35S is convenient for food cart or kiosk businesses because of its space-saving size. It can also be installed in a bedroom for personal use. Fujidenzo upright freezers are also available in 11 cu.ft., 14 cu.ft., 21 cu.ft., and 38 cu.ft. sizes. They also come with a warranty of 1 year for services, 2 years for parts, and 5 years for the compressor--valid for home and business use--which can be claimed in any of over 200 authorized Fujidenzo service centers nationwide. 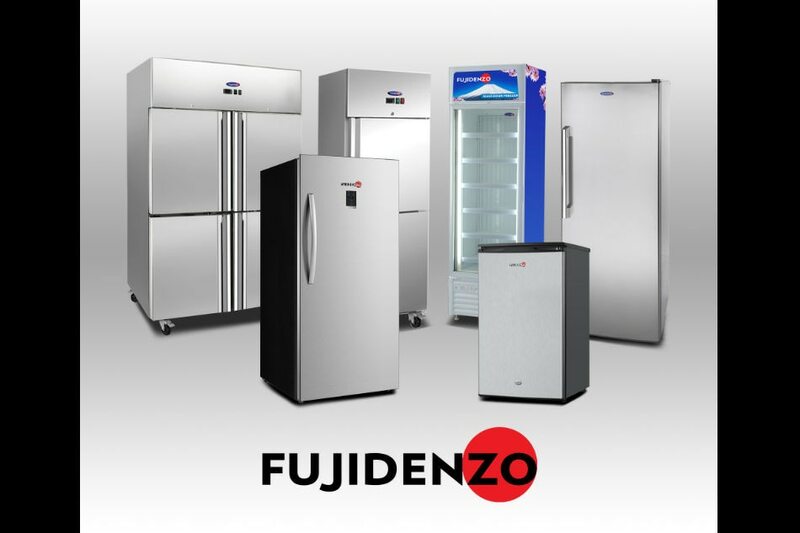 To know more about this product along with other Fujidenzo products, interested parties may drop by showrooms located in Quezon City, Cebu, Iloilo, Bacolod and Davao, or in any leading appliance store. They can also visit the Fujidenzo website, or visit Facebook for more updates.